“The Transformational Newspaper” – The status of newspapers in 2010-11. This presentation was made for the Newspaper and Online News and the Media Management and Economics divisions of the Association for Education in Journalism and Mass Communication (AEJMC) at the annual meeting in St. Louis, August 13, 2011. Paul Steinle is the president of Valid Sources and the producer of the WNN report. Steinle is a veteran journalist and news media manager who has been teaching journalism since 1991. He launched graduate journalism programs at the University of Miami and Quinnipiac University. Since 2001 he has taught journalism and subsequently served as associate provost at Southern Oregon University. 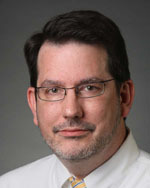 Robert Blaszkiewicz is Assistant Managing Editor, Operations, The Times of Northwest Indiana, Munster, Ind. Blaszkiewicz helps guide coverage for the daily newspaper, and coordinates the media company’s digital and multimedia efforts. He has been with The Times since 1994, starting as a news designer and copy editor. Previously, he worked as a copy editor and designer, The Quad-City Times, Davenport, Iowa, and The Herald-Palladium, St. Joseph Mich.
Blaszkiewicz is a graduate of Northwestern University’s Medill School of Journalism. Barry Arthur is a native of Little Rock, Ark. 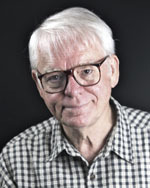 Arthur began his professional career in photojournalism in 1981 stringing for the Little Rock Bureau of the Associated Press. He later became a part-time employee of the A.P. bureau. In August of 1982, Arthur joined the Arkansas Democrat as a staff photographer. He was promoted to Chief Photographer in1989 and then Photo Editor in 1992. 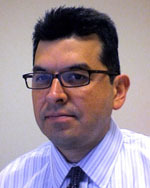 In 2002 he was named Assistant Managing Editor Photo/ Electronic Media. He managed the daily operations of the photography department, the editorial online staff and library staff. Today he continues to manage both the photography and editorial online operations. Arthur attended the University of Arkansas at Fayetteville, 1978-81 and the University of Arkansas at Little Rock, 1981-82. Sara Brown, Ph.D., is secretary-treasurer of Valid Sources and the reporter for the WNN Report. Brown has over 30 years experience as a human resource professional, management trainer, columnist and educator in the newspaper business. She was vice president of human resources at The Columbian (Vancouver, Wash.), and manager, organization development, at the Los Angeles Times. Brown has conducted leadership workshops for the American Newspaper Publishers Association (now NAA), written monthly columns for the National Newspaper Association, is a past president of the national Newspaper Personnel Relations Association (now Media Human Resources Association). She has also advised small and medium-sized newspapers, nationally, on human resource and organization issues. 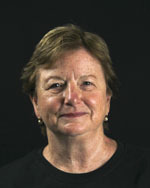 Brown has an M.S., University of San Francisco, and a doctorate in human and organization systems, the Fielding Graduate Institute. Paul Steinle, producer, WhoNeedsNewspapers.org, president, Valid Sources, and his wife, Sara Brown, Ph.D., launched the WNN website on Sept. 23, 2010. Steinle, who was a broadcast journalist and news media manager for 29 years, and a journalism educator for 19 years, says they launched this project out of concern for the public’s lack of understanding about “the sources of information in the United States.” One premise of this project is to raise questions about predictions of the impending death of newspapers and to explore what that might mean. “If newspapers were to die – where would the [local news] information come from?” says Steinle. Steinle and his wife embarked on a reporting journey to visit 50 newspapers in 50 states. “Let’s be journalists,” they said. “Let’s go out and see what’s really happening in the newspaper industry.” In Boston, the Publisher of the Boston Globe, Chris Mayer, told them his print newspaper combined with the Globe’s website, www.Boston.com, has more readers than ever before. Mayer said the challenge for his newspaper was “managing though the transition of consumer habits some of which always, or for a long time, will be in print, but also becoming more digital as technology becomes more mainstream.” And so the concept of the transformational newspaper emerged. Robert Blaszkiewicz, assistant managing editor, operations, Times of NW Indiana, says the recent recession reduced his newsroom staff from 137 persons to 92. But The Times is embracing the new opportunities of digital news delivery. The news staff produces a daily video newscast, and The Times has developed apps for the iPhone and Android phones, and soon it will offer an app for the iPad. The Times has also created an array of smaller regional community websites as a supplement to its main www.nwi.com website to preempt the entry of AOL’s Patch into its market. The Times has also installed a new, high tech content management system, Total CMS, developed by its parent company, Lee Enterprises, to tie all The Times’ print and digital products together. Barry Arthur, assistant managing editor, photo/electronics, Arkansas Democrat-Gazette, says around 2000, The Democrat-Gazette became concerned about the impact of posting all their newspaper and offering it free on their website, www.arkansasonline.com. Those concerns were further entrenched when people began saying “I don’t need to buy the newspaper anymore,” says Arthur. So, in January 2002, The Democrat-Gazette instituted a two-tiered website with the full newspaper behind a paywall for subscribers only. That model has worked for the Democrat-Gazette that has enjoyed modest subscriber growth since 2002 and has seen its website’s unique viewers increase annually. However the dilemma remains that “online revenue is not enough [to pay] for the journalism” that the newspaper produces. So the print edition still plays the major role in financing the newspaper’s operations. Paul Steinle; producer, WhoNeedsNewspapers.org; president, Valid Sources, previewed the WNN website and its features for educators. The areas of emphasis include: news media management, journalism ethics, news media practices, news media history, and career role models. Steinle says the website’s many interviews are important because they reveal the values and intelligence of the people running local newspapers. “What will protect the newspaper of the future and the online work,” and ensure its validity “is the soul of the journalist,” says Steinle. “It’s the things we know, the ethics standards that we have, the practices that we will agree to. And at the end of the day, we’re the ones who are responsible for [the future of ethical news gathering and delivery].” These professional ethics and values are recorded in the many in-depth interviews in the WNN report, and especially in the J-Epiphanies (Journalists’ Epiphanies), highlighted on the toolbar, in which journalists share insights about their craft – key insights they learned in the field.